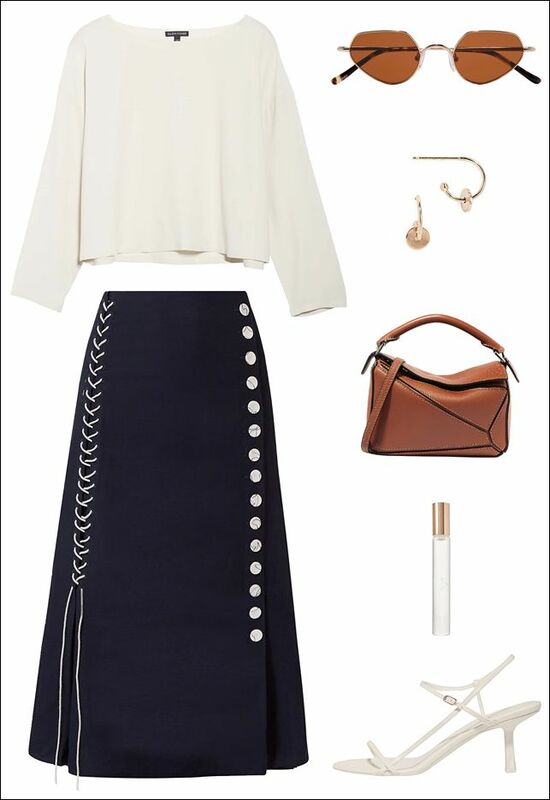 We can't help but be obsessed with this lace-up detailed midi skirt. In fact, we built this whole outfit around it. The skirt is fashion-forward, but still feels classic at the same time. That said, there are a variety of ways to style it—we decided to keep things effortless and polished and it can be worn to the office, brunch, and everywhere in between. To recreate this look try the skirt with a classic white top, timeless sunglasses, dainty hoop earrings, a stylish brown bag, and '90s-inspired strappy white sandals. To keep things zen, add a calming aromatherapy roller-ball to the mix.